The last time we were in Italy was in 2002, a year after we were married. We drank a lot of wine on that trip, because the 1997 Brunellos had just been released that January, and I brought a few bottles home with me as well. Christina had found this clever hard-sided, metal case box for me with wheels and a handle – it was a great idea, but at the end of the day, every airline treated it differently, and so every time we landed we spent an inordinate amount of time trying to figure out which carousel the wine box wound up on. We don’t use the box that much anymore, but we still like to schlep home good finds every now and then. 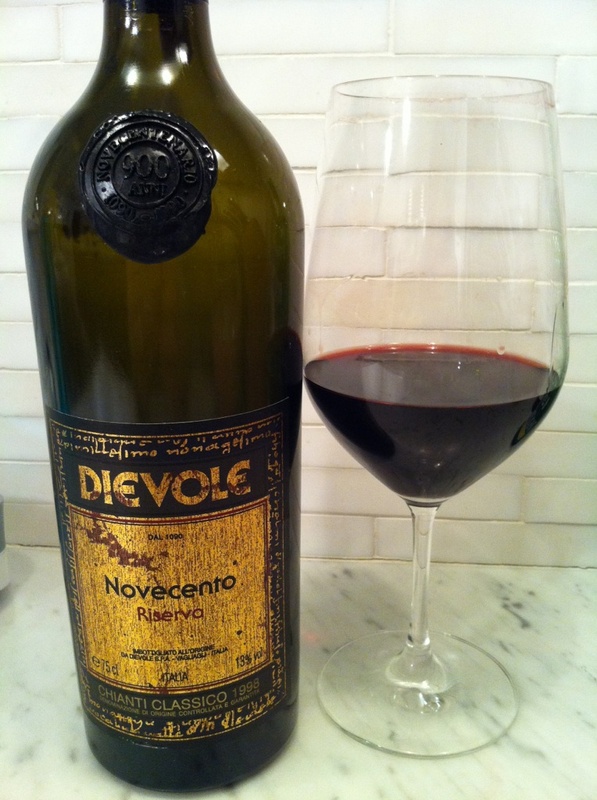 One of the bottles we brought home from Sienna was called Dievole. We spent a nice afternoon tasting in their well-designed little wine shop – the wine isn’t anything over-the-top, but we enjoyed it then, and more than a decade later, we enjoyed it again. Cellar Gems are reviews of bottles that are aged in our cellar. through some of the posts I realized it’s nnew to me. Anyhow, I’m certainly pleased I came across it and I’ll be bοokmarking it annd checking baсk regularly!